By now readers will be well aware of the large role breakfast plays in DonQui’s life. 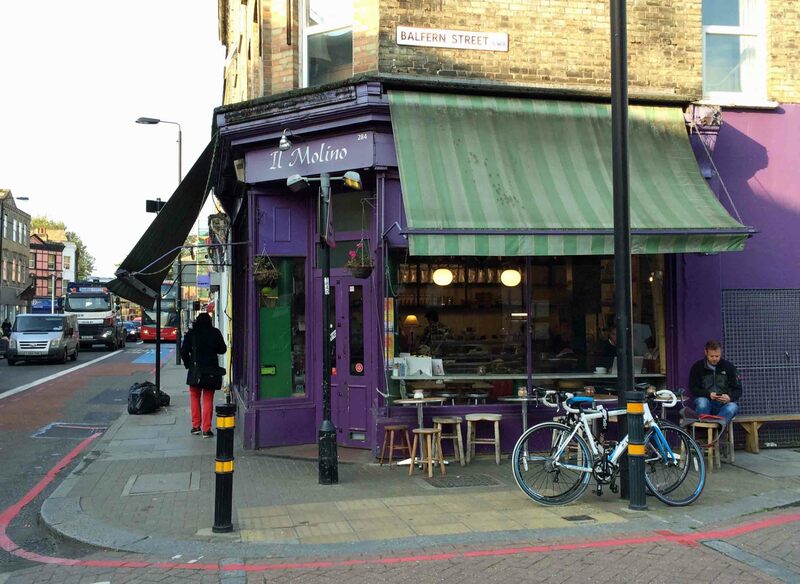 When he is in London, his breakfast of choice is often a croissant with fresh pressed orange juice and a large milky coffee at Il Molino on Battersea Park Rd. With the world being colonised by identikit coffee shops DonQui is very happy whenever he finds a good independent. The furnishings are a delightful mishmash of distressed wood tables (none of them matching) with a bar under the window covered with newspapers and a few seats outside. Various Italian food stuffs are stacked on shelves around the walls both for decoration and purchase. The staff are young, friendly, and mostly Italian. They approach their work and customer service with that typical southern European insouciance which DonQui rather likes. There is none of this ghastly American: ‘how may I help you’ or ‘have a nice day’ — or worst of all when the servers tell DonQui their name in hope of getting a better tip. Not likely – it only makes him more curmudgeonly! Il Molino, therefore, is not a place to come if you are in a rush — there are plenty other places for those who prefer cold efficiency or saccharine over-exaggerated friendliness. Il Molino is a place to come and have something to eat and drink, read the paper, watch the world go by or maybe get the laptop or pad out to do a little work. Just like in France or Italy, for the price of a single coffee you can stay all day. The coffee is excellent as are the various pastries. They also have a deli counter with items more suitable for a light lunch. These look good but as DonQui has not yet sampled any, he cannot vouch for them. There is music in the background but not too loud. With the likes of the Who, Pink Floyd, and Rolling Stones on the play list last time he was there, it is the kind of music DonQui approves of. 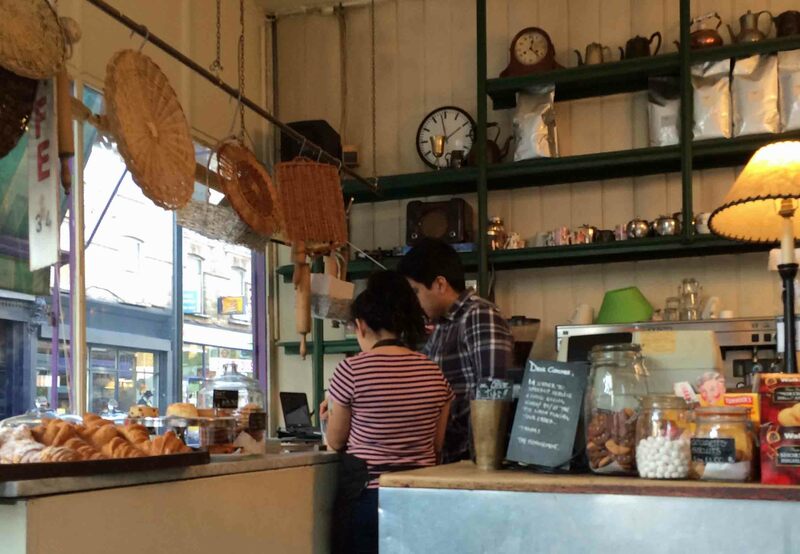 Although it has a youngish, slightly trendy vibe the customer base is as eclectic as the furniture. They may be an old man sitting in the corner with a paper, a couple of yummy mummies with tots in tow, an urban professional playing with his iphone, and workers dropping in from a nearby building site. No bearded hipsters, however — after all, this is Battersea not Shoreditch.